Xolo Era 2X receives price cut, now starts at Rs. 6,222 - AndroGuider | One Stop For The Techy You! Xolo launched the budget Era 2X smartphone with VoLTE and fingerprint scanner back in January this year. Now the brand has announced a permanent price cut drop on the phone. 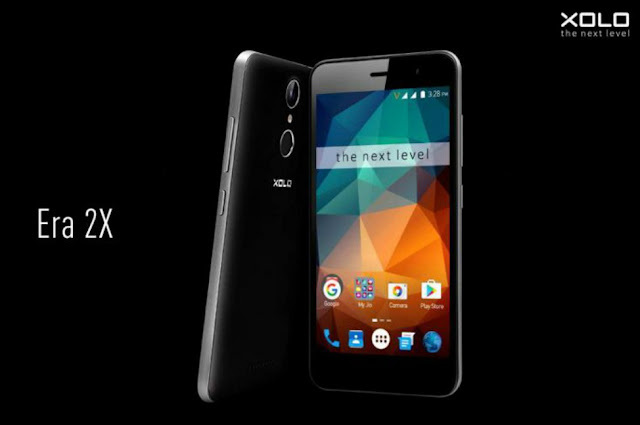 The Xolo Era 2X was offered in 2GB RAM and 3GB RAM variants priced at Rs. 6,666 and Rs. 7,499. But now it has received Rs. 444 and Rs.722 price cut and is available exclusively on Flipkart for Rs. 6,222 (2GB) and Rs. 6,777 (3GB). It comes in Black Gunmetal and Latte Gold hues. To recap the specs, the XOLO ERA 2X features a 5-inch HD display, and boots Android 6.0 Marshmallow. The phone comes with a 1.25GHz quad-core MediaTek SoC, 16GB of expandable storage, an 8MP rear snapper, a 5MP front shooter, VoLTE, dual-SIM slots, Wi-Fi, Bluetooth, GPS and a 2,500mAh battery.